"Be harmless..." ("Do no harm.") has always been the first rule of humane ethics. Does it remain a valid starting point? Yes, to be either accepted or denied as the first point in the argument. I invite the readers to reach their own conclusions and join in this discussion of the Ethics of Sustainability. IMHO, any ethical stance starts with a recognition of individual responsibility for individual actions, especially when that human action is taken "on behalf of" corporate fictions, such as a public agency, a business entity, a non-governmental organization or whatever. The collective fictions have no ethics apart from the ethical -- or unethical -- actions of the actual humans who act "on behalf of" these fictions. It is not the "Majesty of the State" that depresses the button that sends the drone exploding into the wrong wedding party... It is one fallible individual in a darkened room, thousands of miles from the mayhem -- an individual who has separated him or herself from consciously and conscientiously chosen human action. But that is, of course, the extreme example. Closer to home are simpler ethical decisions, many of these revolving around issues involving sustainability. Example: how carefully should I attend to reusing, re-purposing and recycling the garbage my lifestyle generates? While a rather straight-forward concept, akin to, if not "making a profit" at least "not making a loss" the idea of "sustainability" has become a political rallying cry for those who seek a restrained and restricted future for greatly reduced humanity -- in the name of "sustaining" a pre-industrial natural order that has been gone for centuries. If the globalist elite's plan to "sustain" nature requires the early deaths of 90% of all humans alive right now, we have a clear example of unethical "sustainability." Mega-death is not conducive to sustaining life! To believe otherwise is to wander into the nightmare of psychopathology. I do not exaggerate! Take, for example, the Global Health Security Initiative (GHSI) -- one of those "public/private partnerships" beloved of the globalist elite. This UN sponsored agency seeks to prevent pandemic disease by reducing the human population, as the most cost-effective means to that end. See: http://tinyurl.com/EndGHSI. This is, of course, quite mad! In this GHSI initiative we see the true (sic) moral attitude of the globalist elite. We see the economics not of the Misean Market, seeking to satisfy consumer demand, but rather of Hitler's Economics Minister Speer who oversaw the Nazi State devouring the accumulated wealth of conquered Europe. Like the Roman Imperial State, the globalist elite are nothing but violent looters. We, the human population, in the expressed view of the globalist elite,*** are viewed as chattel to be disposed of as the elite finds convenient and economical. 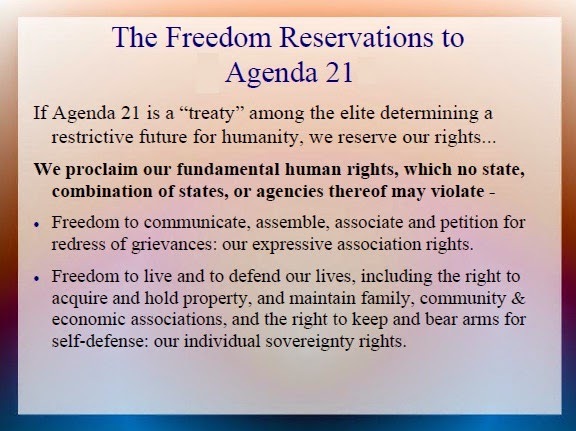 Another catch-word for this hideous process is "Agenda 21" - the globalist depopulation agenda. 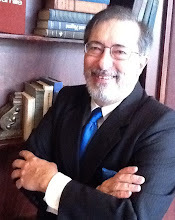 True ethics seeks to sustain humanity on this, our home world, while addressing social problems with natural solutions. 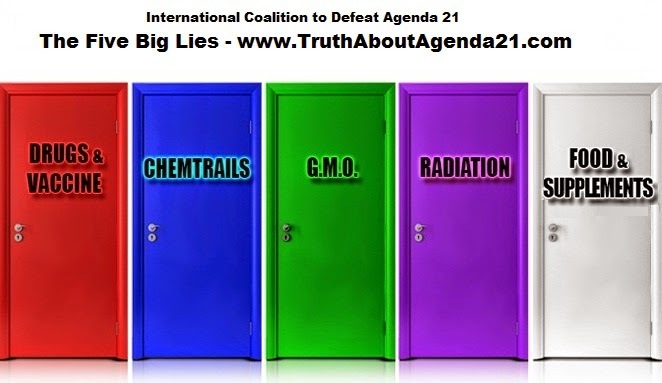 For example, contrary to GHSI, the best natural solution for pandemics is better nutrition and natural remedies like Nano Silver (see: www.DrRimaKnows.com) not genomicide engendered by the technologies of death: GMOs, drug/vaccine toxins, "phude" toxins, radiation and geo-engineering! Thus, we seek an ethics of sustainability that recognizes the primacy of the individual and that person's inalienable rights. This is, of course, the opposite of collective claims to restrict, restrain and reduce individual choice. As autonomous, independent human actors we have a choice. We can accept the myth that to sustain this planet's ecosystem in a particular configuration, the elite must be allowed to destroy humanity, or we can insist on our prior right to live in a world that allows freedom of action, so long as one does no harm to the equal rights of others. As the great 20th Century praxiologist, L. von Mises taught, "All human action is predicated on dissatisfaction..." (see: www.Mises.org). We can achieve a free and sustainable world. Man's freedom to choose and to act is restricted in a threefold way. There are first the physical laws to whose unfeeling absoluteness man must adjust his conduct if he wants to live. There are second the individual's innate constitutional characteristics and dispositions and the operation of environmental factors; we know that they influence both the choice of the ends and that of the means, although our cognizance of the mode of their operation is rather vague. There is finally the regularity of phenomena with regard to the interconnectedness of means and ends, viz., the praxeological law as distinct from the physical and from the physiological law. The moral choices remain as stark today as they were just after WWII when Mises penned these conclusions. We live in a lawful Universe where the human mind can understand means and ends. When we make choices among means to attain ends, those choices are further restrained by the imperative that we each individually act ethically, for that is the only way we can live in an ethical society. The core political question that Americans must ask in determining whether this country shall be an Oligarchic Empire or a Constitutional Republic is whether the "consensus" interventionist foreign policy of the "two" US tax-eater parties (the (G)OP and the Demos), followed for over a hundred years, has made the world safer for human life; has made Americans freer and more prosperous? On all three points the lesson of history is clear: "No!" Now we find the "Great Powers" caught in the same type of entangling alliances that led to the "Folly of '14" (that's 1914)***. Understandably, after the defeat of some of the totalitarian powers in WWII, the elites would enshrine "territorial integrity" as part of the system of world governance that has, it must be said, avoided nuclear holocaust, so far. That system made "sacred" the existing national borders, even, where, as with the colonial borders of Africa, such state-boundaries led to endless civil war and horrendous loss of life. Today we see the "Great Powers" ludicrously supporting a revolutionary govt in Kiev that does seem to have some extreme nationalist participation, and further, supporting the borders that then Soviet dictator N. Khrushchev assigned to Ukraine SSR in 1955, primarily to dilute Ukrainian nationalism. The Folly of '14 is about to be repeated, unless we have a change of heart. And a change of foreign policy in Washington. One foreign policy alone is worthy of a free Republic: strict non-intervention in the affairs of other state-actors. This was the policy of the Founders of the Constitutional Republic and it remains the only sane policy. The interventionist foreign/war policy initiated well over a century ago with the invasion of Mexico, continued by Lincoln, the Roosevelts and Wilson, and by all recent Presidents, whether "liberal" or "conservative" -- (G)OPer or Demo -- has destroyed the once Good as Gold Dollar and is destroying our prosperity, our freedoms, and millions of victims around the world. Americans bear a heavy responsibility for having allowed the Federal Establishment to become so war-like. "Wars" against poverty, drugs, terrorism... war against anyone resisting the power of that Establishment. We now see the predictable world-wide blow-back, hurting us in so many ways. We further see the fruit of the interventionist foreign policy in the militarization and nationalization of our local police, resulting in a horrific increase in the incidents of civilians killed by out-of-control police in the United States. It is urgent that local police return to their role as lawful peace officers. We are the only ones who can restore the Republic.